“Support for anti-corruption reform has always been and will remain an important aspect of our Mission’s activities,” said the Head of the EU Advisory Mission Ukraine (EUAM) Kęstutis Lančinskas today at a conference in Kyiv to mark International Anti-corruption Day. Mr Lančinskas welcomed the progress made by the Ukrainian authorities in creating new institutions and legislation to fight corruption, but also called for progress in the implementation of the new framework, particularly bringing corrupt officials to justice. He also underlined the importance of ensuring that the new anti-corruption agencies are free from political independence and called for reform of the court system. 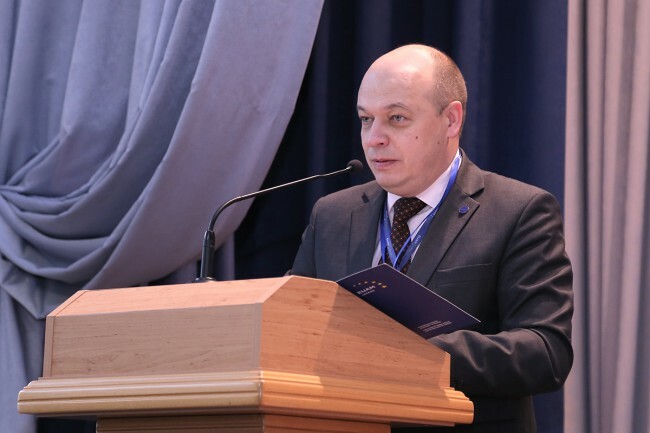 Over the course of 2016, EUAM has provided significant institutional and technical support to the new anti-corruption agencies – National Anti-corruption Bureau (NABU), Specialised Anti-Corruption Prosecutor Office (SAPO), National Agency for the Prevention of Corruption (NAPC). The mission has provided numerous trainings as well as essential equipment, helped to ensure the transparency of recruitment processes, supported building cross-border networks with European anti-corruption bodies for example in Poland, Romania, Latvia, Slovenia, Lithuania. The Mission has also provided support for communications activities, including supporting the design and implementation of a public awareness campaign for NABU. EUAM is committed to continuing its support for the anti-corruption agencies with a focus on formulating a comprehensive and systemic approach to anti-corruption reform, development of a new anti-corruption strategy, improving anti-corruption legislation, strengthening inter-agency cooperation and ensuring institutional independence.